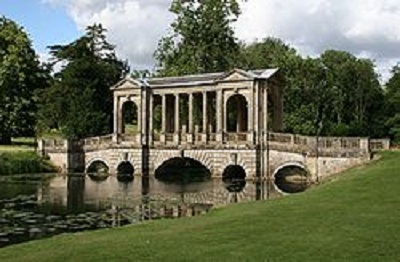 The English garden or English landscape park is a style of landscape garden which emerged in England in the early 18th century, and spread across Europe, replacing the more formal, symmetrical Spanish Gardening Style of the 17th century as the principal gardening style of Europe. English Gardening Style developed after the development of Persian Gardening Style and Italian Gardening Style. 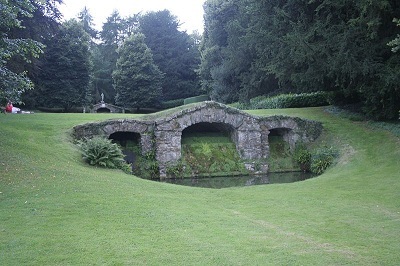 All these gardening styles were the result of the influence of the Modern Landscape Architecture. 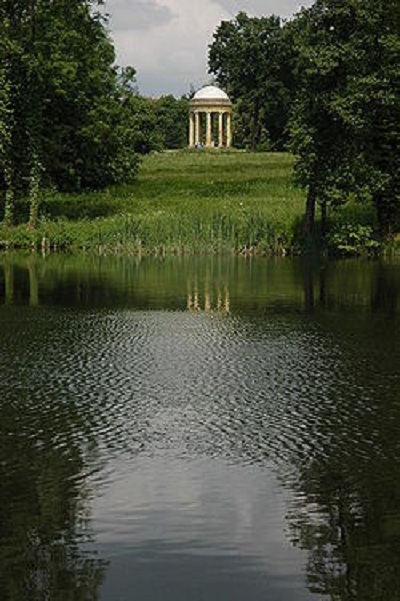 The English gardens presented an idealized view of nature and they were designed by gaining the inspiration from the landscape paintings made by Claude Lorraine and Nicolas Poussin. It usually included a lake, sweeps of gently rolling lawns set against groves of trees, and recreations of classical temples, Gothic ruins, bridges, and other picturesque architecture, designed to recreate an idyllic pastoral landscape. By the end of the eighteenth century the English garden was being imitated by the French Gardening Style. In about 1730, William Kent working for Lord Cobham at Stowe “Leaped the fence”. There was no beginning or end to gardening. He Ha-ha was a technique used to bring in the horizon as a part of the garden. It was all landskip inn the spelling of the day to be idealized as an earthly paradise with classical overtones. Each building in the landskip not only functioned as an accent or focus but also the landscape functioned as a setting. Buildings were placed in a composed sequence to be revealed in following a particular walk. Streams were dammed and lakes formed, trees planted in belts and clumps, on mounds to flank buildings with lateral interest. In 1751, Kent successor, Lancelot Brown used the same technique in his gardens. He found every client’s property had distinct ‘capabilities’. He swept away all formal gardens and replaced them with grass. The element missing in Brown’s successor Humphrey Repton reintroduced terraces and flowers near the house as foreground to the landscape. He allowed walled gardens for privacy, sheltered flowers and planted shrub bordered walks and set aside areas for rare trees. These were bound together by proportion and unity. During the industrial revolution, the villa garden had no broad acre but the owner had enough money. The Horticultural Society founded in 1804 gave prestige to the cultivation of new plants. Glass was inexpensive and the middle class could afford greenhouses made of glass and iron. Loudon coined the word ‘gardenesque’ for the display of the art of gardening – the individual beauty of trees, shrubs and plants in a state of cultivation. The kitchen garden, nursery, greenhouse were important parts of the garden. The Victorian country house epitomized the feeling that plants were made for man. Never was so much technology and or manpower devoted to horticultural display. The industrial revolution and import of novelties and wealth from the colonies made the cultivation of new varieties a status symbol. Joseph Paxton a gardener-engineer made the green house a symbol of the Victorian age or late 19th century. AT Chatsworth, which was the Duke of Devonshire’s palace in Derbyshire, Paxton built the tallest fountain and the largest greenhouse of the time. In 1850, he was successful in the flowering of the giant Amazon water lily Victoria regia in cultivation in a glass house. The flowers were a foot wide and the leaves were 6 feet across. To house the great Exhibition in 1851, Paxton planned a glasshouse that was 2100 feet long and 400 feet wide. It was named “The Crystal Palace”. This was the confidence with which gardens in scale with Le Notre’s were designed to accommodate display of varieties of plants. Flourishing plants and maintenance and not well-designed outdoor spaces were the basis of these Victorian gardens. However the unity and harmony of the 18th century did return in the 20th century. In 1896, Gertrude Jekyll, a painter and a gifted writer, who found an alternative style in the country homes and cottages around Surrey. 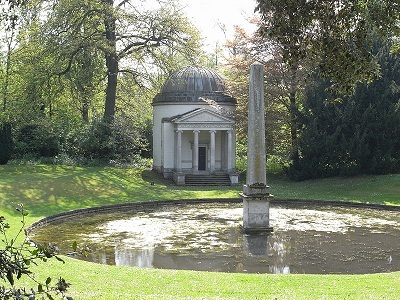 She formed a partnership with an architect Edwin Lutyens. Together developed a farmhouse vernacular where the formally designed architectural gardens were planted with informality. Since the garden was divided into divided into definite spaces, each space was planted with many distinct plants to form different pictures month by month. They were screened from each other and the beauty arose through the association of the plants within a group and the consequent composition. In the 1940s Alan Bloom designed the island beds of flowers as an offshoot of this style in that there were no built edges. English Gardening Style is a legendary Style of Gardening. This style was adopted all over Europe. Some modifications were made in the English Style of Gardening and later some of the other European Gardening styles also developed.